If you have been looking for a way to audition for a speaking role in a Disney movie or have been asking yourself “how can I get a role in Disney”, here is a chance! The auditions are open to teens everywhere. Disney will be considering kids and teens who live all over the world for this opportunity. “Moana” will star Dwayne Johnson and maybe even you since the lead role of Maona is not yet cast and open. The Disney talent search just began a few days ago and is open to kids and teens from all over the world who fit the description that is listed below. The studio is looking for a teen girl between the ages of 14 and 18 Disney has opened up the talent search to teen girls everywhere. If you have a Disney dream and have been searching for a way to get the attention of their casting directors, this is it. “Moana” is a story of a teen girl who lives in Oceania 2000 years ago. She is brave, inquisitive and very adventurous. When she learns that her people may be in trouble, she sets off on a journey, across the huge ocean to find a way to help them. She goes in search of a legendary island that may not even exist. Her journey takes her to mythical places where she meets amazing creatures as well as the mythical God, Maui, played by Dwayne “The Rock” Johnson. Setting sail with Moana, is her best friend, a pot bellied pig. If you think you fit the role of Moana, you can follow the guidelines below to get your submission to the Disney casting directors. New Disney Pictures movie “Moana” is having online auditions for speaking / lead role of Moana. Send a video of yourself framed close up, showing your head and shoulders with plenty of light on you. Introduce yourself. Practice this several times before you film. Tell us why you would make a great Moana. Then tell us your email contact and your phone contacts. Check with mum and dad if you are under the age of 18 years. Once done with the above, see here for further instructions. This is an animated feature and the girl cast will be playing the voice of the animated character. 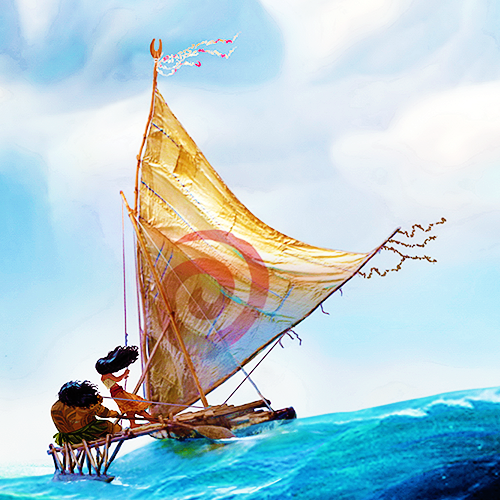 “Moana” will begin production next year in 2015 and the film will be coming to theaters in 2016. 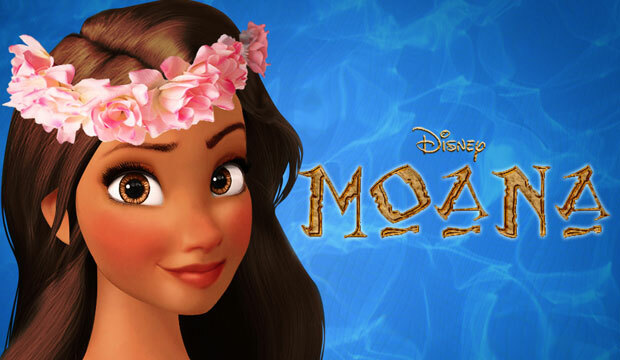 According to the projects IMDB page, “Moana” will be hitting the movie theaters in November of 2016. The Disney movie is written and directed by John Musker who also worked on such animated blockbusters as “The Little Mermaid,” “The Princess and the Frog” and “Aladdin”. Also directing “Moana” is John Clements. There is no mention of when the deadline is so those interested should get those submissions in ASAP. Audition for the Lead Role in Disney Pictures "Pete's Dragon"
NextWhen Are The Disney Channel Auditions for 2015? I would love to be cast in the Disney movie, Moana. I am 13 years old. I would love to be moana. I always dreamed one day of being in a Disney movie. I am 15. I really like to sing and act too, so I hope to get a Chance. Hey! My name is Natalie and I am a 13 year old girl from Mission Viejo California. I would like to play the part of Moana because I am a very good singer and actress and I have dreamed of this kind of oppritunity for a very long time. I love Disney and I would make it my life’s work to do this. I would even take off of school to be more focused on this. So please give me a chance and I won’t disappoint you. Please email me and let me know. Thank you for your consideration. Hi, My name is Ava angle. I am 19 years old and can sing very well. Everyone tells me that, not just family. I have blonde hair and blue eyes. I would love to star in Gravity falls because it is the best show in the entire universe, but any show, as long as I get to speak, I’m so happy with. Again, I am Ava angle and please pick me to act in one of your shows. Oh, and I’m funny, pretty, and can act. Thank you for reading this! (If you did, anyway) Bye! Sorry! It is Ava angle again and to let you know I am not 19, I’m 11. Okay, bye! Hello I’n Adrianna Townsend and I would be glad to be picked to play in any movie. If I don’t get picked, I can understand because there are a lot of talented people out there. Hi my name is Paola Pere and I’m 13 turning 14 in two more months. It’s been my dream to be in a Disney movie or a Disney show. I’m a student at barbizon which is a school for models and actors. I would be thrilled if you would let me live out my dream. I am reliable, punctual and I take direction well. I get along with people, I like to have fun, so please email me if you guys think I am perfect for the part of Moana. I’m 12 1/2 and I would love to audition for this role as Moana because her personality is just like my own. I’m in the seventh grade and I like to act and sing. Also, I would like to be on Girl Meets World and I watch it whenever I can. Hello my name is Angel and I would love to be Moana it’s always been my dream to play a leading role and I would love to play in a movie with the rock. Please consider me, I promise I won’t let you down. My name is Mariah Chase. I’m 13 and I have met many stars such as zendaya, the whole game shakers cast, Kel Mitchell, holly Robinson Pete, Tisha Campbell, Mary J. Blige ect. But I would really love to experience fame. I can sing and act. I can dance but not like that. I want to extend my knowledge of music and arts. I would really love to be on KC Undercover or girl meets world. I love zendaya and Sabrina carpenter, they are my idols. I can sing and act. I am 11 but I look like I’m 13.
steps to become big. I want to be noticed when I’m walking down the street. I want people to know who I am and most of all, I want to be a disney STAR. Hi I am jade and I want to be on girl meets world or Kirby buckets. I would love to be on girl meats world or KC Undercover and my name is jade. I am 8 years old and I can sing, act and dance. I would love to be on KC Undercover or Girl Meets World. Hi my name is Genesis Castaneda. Ever since I was little, I used to make shows and sing in front of my whole family and I would love to play the role of Moana. I know I am only 12 years old but I think I have a really good voice. Thank you for your time and I would love to experience working with Dwayne Johnson. Hi my name is Saoirse and I am 12 years old. I dreamed of being on Disney Channel my whole life and I believe that I would make a great Moana because I always loved acting singing and dancing. This year I am magic in the dayspring academy Cinderella the musical. But I believe that if we all keep trying, I bet all of our Disney dreams will come true. I really want to be on Disney channel, my name is Cole and I am 10. Skills: Acting, Clarinet, soccer, songwriter, and model. I am interested in being the voice in the next Disney movie “Moana”. I live in Scotland, and spend my summers in London with my extended family. I am 14 years old and love all things Disney, enjoy my dance school, all the panto’s and shows that I have done. It has given me a taste for acting. I would love to be part of the Disney family. I would love to audition for you. Hope to hear from you soon. Best Wishes. Kind Regards. I am a seventeen year old Christian young man who just wants to make a difference in the world. If I make it in the entertainment industry, I promise to make it more profitable and better. I just want a chance to make it big. I really love acting and I can actually relate to this girl and I think that I would be amazing. The producer would love me and have fun. I am only 14, please consider me in this film it would mean the absolute world to me and I have loved acting since I was 2. I would be absolutely amazing to get the role and I would have the responsibility of this acting role, so please just consider me and thank you so much. I really want to get the part, my name is Ruth and I am 17 years old. I would love to get this part on this movie. I always wanted for my voice to be heard, and I can sing. I know that I’ll do great job for getting this part. I would really love to get this part. I think this would be a great opportunity to express my character. I think I would actually fit the part to play Moana. My name is Keeshia and I’m 14 years old. I really want to get the part. My name is Nelly and I am 14.